Is there really such a thing as free alcohol rehab? Yes, there is. In fact, there may be one in your area, but you have to search for it. And if free treatment is not available nearby, you may need to travel for it. When looking into rehab, it is important to look at the big picture. First, decide the type of treatment you need, how you can get it, and then decide what you’re willing to do for it. 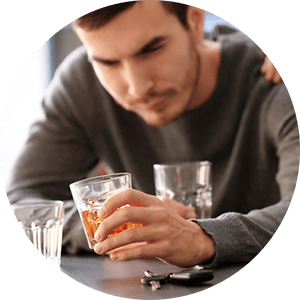 Read on to find out more about your alcohol rehab options. Free alcohol rehab is meant only for those in dire financial circumstances. Fortunately, many community mental health clinics get at least some financial support from the government. Because of this funding, treatment counselors can offer alcohol rehab for free or at a reduced cost. Many offer a sliding fee scale. And while this isn’t exactly free, it is very likely to make treatment affordable for many people in need. If you can scrape together a few dollars a week, you can attend helpful and much-needed alcohol rehab sessions. The government is willing to provide financial support to help citizens become healthy and productive. Various religious groups often support drug addiction recovery in their community. Some churches and groups offer free drug treatment. They may be funded by private donations or money from their national church organizations. To participate in these free alcohol rehab programs, you may need to be ready to accept the spiritual aspect of their treatment program. Universities and colleges are always doing research studies on various topics. Find out if a school near you is doing any type of research on alcohol treatment. However, this is not necessarily common in all regions of the United States. Universities and colleges with a specialty in drug and alcohol addiction offer various forms of therapy to individuals. In these studies, well-supervised students provide therapy in exchange for participation in their study. If you are willing to travel a bit, you may get to be part of cutting-edge alcohol rehab methods. While AA and other support groups are free, they are not a substitute for an alcohol rehab program. Perhaps AA or support groups are a starting place for you to get support. But if you continually struggle with sobriety, you’ll still need to go through and alcohol rehab program of some kind. Many people get connected with a support group as they go through alcohol rehab. It is a great way to continue having support and being part of a sober community, but it is in a more informal peer supported setting. Support groups don’t substitute for true alcohol rehab. But informal support can be a critical part of a sober lifestyle. Knowing where to look and who to ask can really make a difference. Religious organizations, community supported mental health centers, university research studies, and support groups are four ways to get help for alcoholism. 1 Lynsen, Ann. "Alcohol." SAMSHA. N.p. 30 Oct. 2015. Web. 01 Aug. 2017. 2 "Understanding Alcohol Use Disorder -- Treatment." WebMD. Web. 01 Aug. 2017.